Apple first announced its intention to extend its iOS ecosystem to cars was first announced way back at 2013’s Worldwide Developers’ Conference, but it was only early this year with the release of iOS 7.1 that devices could properly support it. 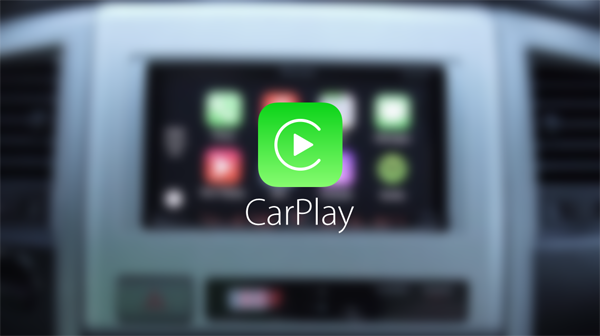 Many car manufacturers have signed up to include CarPlay as a standard feature, but sound and general infotainment specialist Pioneer has been one of a small number of companies to pledge aftermarket support. A short while ago, the first batch of CarPlay-ready in-car systems were launched, but given their fledgling nature, most of us have yet to see what this new Apple-integrated hardware is really made of. One early adopter, who also just so happens to be a member of a tech. repair company, has already had some extensive time with one of Pioneer’s new receivers, and for the benefit of the masses, has posted a series of walkthrough clips. The system demoed is the Pioneer AVH-4000NEX receiver, which, at $700, is one of the cheapest of the new fleet. The videos offer a glimpse of how everything works, and notably, runs through the set-up process that users will need to complete upon purchasing one of these Pioneer systems. As we learned last week when the receivers launched, a firmware update must first be downloaded from Pioneer’s website, and Fix Denver’s Josh Carr show the steps to transferring the subsequent information to the device by means of a USB flash drive. The process seems simple enough, although there’s an in-store setup option for those who don’t wish to partake, and after getting things up and running, Carr then gives us a peek at some of the apps. From Spotify, to Contacts, Siri to Visual Voicemail, all of the perceived necessities are covered, and with Apple apparently now having brought its Maps app up to scratch, the demo also shows how the navigation system works. CarPlay has garnered mostly positive reviews thus far, and from what we can see here, the interface is as clean and fluid as we’re accustomed to on devices like the iPhone and iPad. So if CarPlay has piqued your interest and you’re looking for more of an insight, check out the videos below, and as ever, do share your thoughts in the comments.